I’ve just returned from my research trip to Saint Louis, MO and I’m brimming with ideas! I’ve been working on a longer short story (by longer, I mean 20 pages and more) that will become a novel sometime next year. The first part has been pretty much written, which is the extended short story. Now the second part takes place in Saint Louis, MO in the mid 40s/ early 50s. So, talking with a friend, we decided to take the train trip up for a day in Saint Louis from Louisiana. A quick weekend getaway for her and a mini research trip for me. Caught up? Good. I had certain goals for the trip, which I think I achieved and now it’s a matter of developing a plan to learn more about this part of my story. Now I’m on the part that I do research on…well…doing the research. Essentially, now that I got a feel for the place, what was my next step? I found some great resources online and some amazing advice. My two graduate advisors, Aimee Liu and Micheline Marcom are also hosting a panel on this for the AWP conference in Seattle in February. Until then, however, here’s some advice that is pretty awesome and will tie me over until then. This gem came from the Writer’s Digest website. I think that’s why I was so keen on just getting a feel for the place (I have a slight crush on Saint Louis as a result). I wanted to know what made that place tick and what the pulse of it was. Essentially, the present is because the past was. (How’s that for a weird sentence.) So, if the city did a certain thing or thought a certain way then I’d want to know if it was because of recent or past events. Past events, before my timeline, means that feeling was probably around then. This bit of advice is a good one and my friend Cate over at CommuniCATE Resources for Writers had a great guest blogger write about it. The internet is a wonderful resource but there’s nothing like hearing people talk about the era you’re writing about. You get to ask questions, ask for specifics, and there is really something magical about two people talking about something they are really interested in. I already know that I’ll have to talk to a historian for my story. I also want to visit a place that I didn’t get a chance to visit this last time that could be important to the plot. This last lesson seems kind of obvious but I’ve already caught myself breaking it. This reminder comes from this Publisher’s Weekly article. Since the time period I’m writing about and the community I’m inhabiting in this prose is so foreign to me, I’m finding myself relying on the revision process for catching and changing the modern phrases. I’m also trying to make sure I’m not putting so many phrases from the past that the reader doesn’t understand what I’m writing. It’s a bit of a balancing act at the moment so obviously I’ll be working on this. Lots of things were learned and enjoyed on this trip. I’m already making plans to go back in 2014 sometime. Here’s some pictures I took to help me with the writing. So, do you have any tips for writing historical fiction? Share them in the comments below. Icess Fernandez Rojas is a writer, blogger, teacher, and journalist. Her commentary has appeared in The Guardian and on Huffington Post Latino Voices. 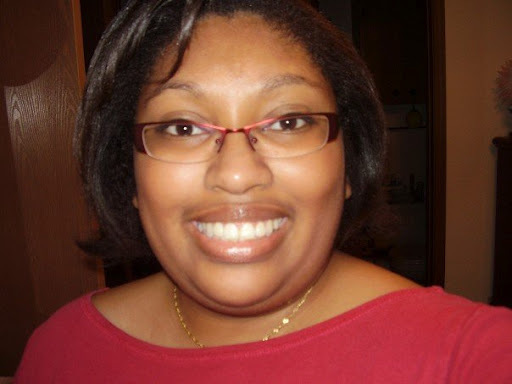 Her fiction has been published in literary journals/anthologies such as Minvera Rising and Soul’s Road. She’s working on her first book and teaches fiction writing classes. Contact her or sign up to know more.